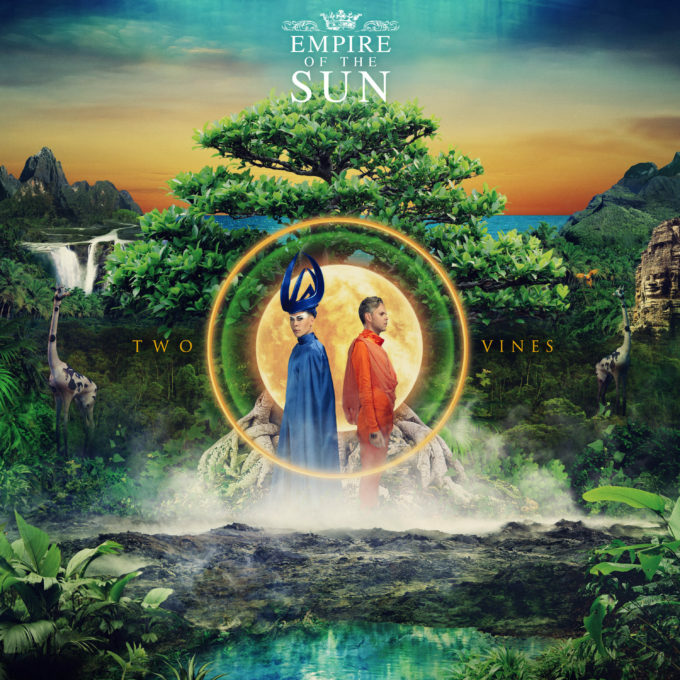 Before we discover where they’ve debuted on the ARIA albums chart, check out David’s review of Empire Of The Sun’s ‘Two Vines’. I’ll be first to admit that I am not Empire Of The Sun’s number one fan. I really enjoyed ‘Walking On A Dream” and a few other tracks over the years, but for some reason I just couldn’t connect to their music. All that changed with their new album ‘Two Vines’. This album contains a euphoric collection of fantastical and whimsical tracks which play at your imagination. Call it escapism if you must, but it transports you to another sonic galaxy for the hour or so the album runs. The standout track for me is their collaboration with Fleetwood Mac’s Lindsay Buckingham, ‘To Her Door’. There’s something magical about the combination of a ’70s rock god and an electronic duo from Sydney that creates a remarkable piece of music. Title track ‘Two Vines’ is another combination of their trademark vocals with a catchy melody and it just works. In a recent interview with Billboard, they shared that they are “going deeper into paradise” as they progress through their albums and it’s definitely evident here. There is something that makes you want to forget the world and all the challenges we face on a daily basis. Perhaps this is why I have really enjoyed this album; I just wanted to get away from it all. ‘Two Vines’ is a sonic holiday from the sadness and despair in the world and one I will gladly return to again whenever I need that break. MUST LISTEN : To Her Door, Two Vines, High And Low, Way To Go, Digital Life.